Look, we tend to give hippies a lot of grief around these here parts—but the truth is they’ve got some pretty “groovy” ideas sometimes, with organic food, co-op supermarkets, and preserving national parks among others. And if it weren’t for their incessant complaints about environmental damage, the automotive industry might still be be working toward blowing an iceberg sized hole in the ozone layer. Thankfully, the good folks at Ford are forward thinkers; they listen to what the people want—it’s like they’re the people’s car, but honest about their emissions. This is why Ford is electrifying the most popular models from their lineup. This year, at the 2018 North American International Auto Show in Detroit, Ford pledged an $11 billion dollar investment in electric vehicles for 2022—more than double the $4.5 billion they pledged to invest in 2015. Ford has cut gas-guzzling dinosaurs from their lineup (so long, Ford Bore-us), beefed up their already eco-friendly engines, and even applied their knowledge to eco-friendly diesel engines (a feat even Al Gore found to be too inconvenient). This budget of billions will be used to research and develop 40 hybrid and fully electric vehicles, highlighted by 16 fully electric vehicles, spearheaded by Ford’s new CEO Jim Hackett. Hackett was originally the head of Ford’s self-driving car division, Ford Smart Mobility, and was promoted to CEO after Tesla passed Ford to become the United States’ second-largest auto company. Hackett’s plan is simple. Rather than crank out a bunch of dorky little sedans to compete with the Prius for farmer’s market parking stalls, Ford is going to electrify their most popular models. This means we will see electric versions of the Explorer, F-150, and Mustang, among others. Now before the purists go writing letters to Ford about how they shouldn’t be messing with the company’s heritage, they should consider two things; first, Ford’s heritage has always been one of innovation. And second, e-mail would get to them a lot quicker. The Ford Motor Company has never been one to rest on their laurels—hell, they don’t even know what rest or laurels are. But they are making a bet on the future, an environmentally friendly future.  That doesn’t mean that the power, or utility, or overall tough-as-nails spirit that Ford has maintained since 1903 is going anywhere. Serious research goes into what truck owners want, in an effort to make every F-150 model better than the one that preceded it (also, probably part of why it’s the best selling truck year after year). That means the electric F-150 will be equipped with power sources that’ll help you do everything from charge your power tools, to running a cooler that keeps your beers nice and cold. I bet your tune is starting to change ever so slightly now, isn’t it? No one’s asking you to wear tie-dye or Birkenstocks. No one’s asking you to let your hair get matted and turn into dreadlocks. All Ford is asking, is that you take this electric journey with them—and some old favourites.